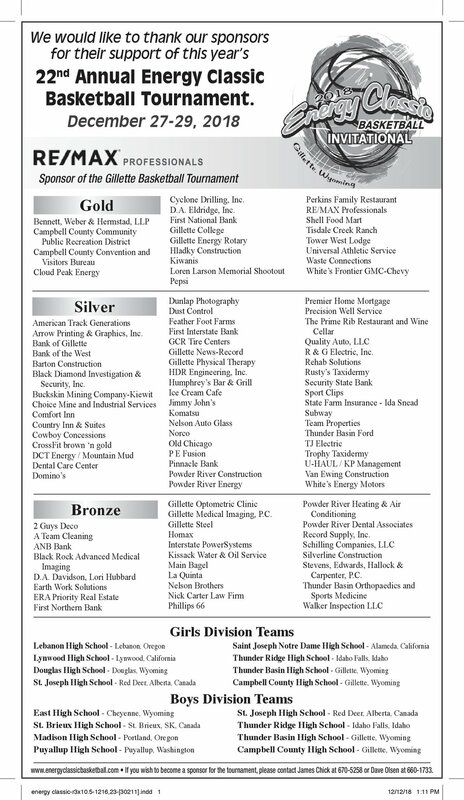 The Energy Classic would not be possible without the support of our great volunteers and sponsors. It is because of their generous donations that this tournament has grown to become what it is today. If you or your business are interested in becoming a sponsor, don't hesitate to contact us anytime.